Democratic presidential candidates Hillary Clinton and Bernie Sanders are locked in a dead heat at the Iowa Caucus, with the vast majority of votes counted. Multiple outlets declared the race "too close to call." With 99 percent of Iowa precincts reporting, former Secretary of State Clinton has managed to win 49.8 percent of the vote. Vermont Senator Sanders earned 49.6 percent. "Nine months ago we came to this beautiful state, we had no political organization, we had no money… and we were taking on the most powerful political organization in the Unites States of America,” said Sanders. "What Iowa has begun tonight is a political revolution." For Clinton supporters, the tight race with Sanders will be a disappointment. Her campaign spent nearly a year building a massive get-out-the-vote operation in Iowa. In remarks to her supporters, Clinton welcomed a "contest of ideas" with Sanders. "I stand here tonight, breathing a big sigh of relief - thank you Iowa,” added Clinton, who in 2008 lost the Iowa primary to then-Senator Barack Obama. "It is rare we have the opportunity we do now, to have a contest of ideas," she said. "To think hard about what the Democratic Party stands for. I am a progressive who get things done for people." The self-declared democratic socialist from Vermont, Senator Sanders, has drawn a big, youthful crowd across the state. "We will struggle tonight if the voter turnout is low. That's a fact," Sanders told volunteers and supporters ahead of the caucuses, according to the Associated Press. Six in 10 Democratic caucus-goers said they wanted a candidate who would continue Obama administration policies. 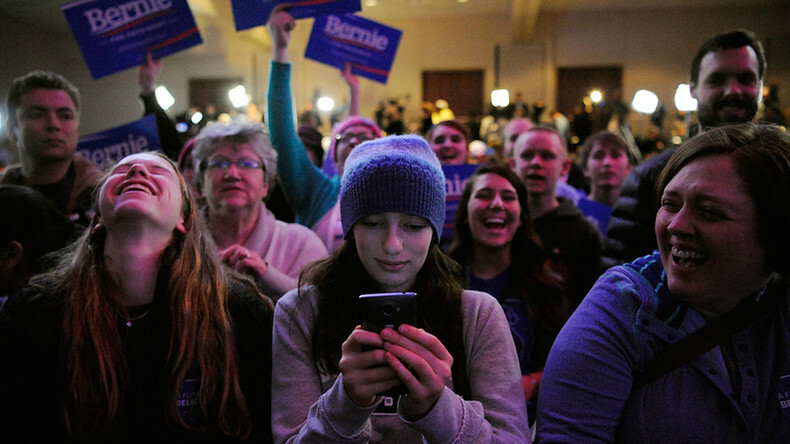 Young voters overwhelmingly backed Sanders.